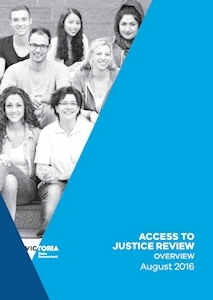 On 4 October 2016 the Victorian Government released its Access to Justice Review which makes 60 recommendations designed “to help disadvantaged Victorians navigate the legal system and resolve everyday legal issues.” The Review, commissioned by the Government in October 2015, complements the Productivity Commission’s 2014 Access to Justice Arrangements Inquiry. Parties represented pro bono should be able to obtain a costs order. The Civil Procedure Act 2010 (Vic), or alternatively the rules of court, should be amended to give this effect (recommendation 7.1). The criteria for protective costs orders in public interest litigation should be clearly outlined in the Civil Procedure Act 2010 (Vic) and guidance provided to government departments in responding to applications for protective costs orders (recommendation 7.2). The Department of Justice should review the “availability and operation of disbursements funding for pro bono cases” (recommendation 7.3). The Standing Committee of the Legal Profession Uniform Law should amend the Conduct Rules “to support the provision of unbundled pro bono legal services” (recommendation 7.4). The requirements of the Victorian Government Legal Services Panel should be amended to give greater weight to pro bono legal services which assist CLCs and their clients (recommendation 7.5). The Victorian Government and key stakeholders in the Victorian legal assistance sector should work together to develop strategies “to recognise and promote pro bono contributions made by the legal profession each year, including during Law Week” (recommendation 7.6). 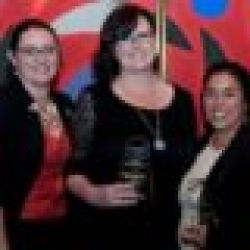 “The Victorian Government, Justice Connect and the legal profession should work together to improve the exchange of information between, and awareness of the roles of, legal practitioners willing to perform pro bono work, and the community organisations and community legal centres requiring pro bono legal assistance.” (recommendation 7.7). A number of these recommendations reflect recommendations outlined in the Centre’s submission. Better information – collecting data on the operation of the Victorian legal system to inform future planning. More flexible and integrated services – ensuring that legal assistance can be accessed in a number of ways (for example, self-help tools) and in connection with other services (for example, the health system). Making better use of technology – using multiple platforms to connect members of the community with the legal system and lawyers in an effective and efficient manner. Stronger leadership, governance and linkages – encouraging a culture of accountability, transparency and sharing among different facets of the legal system. The Government is now considering its response to the recommendations.